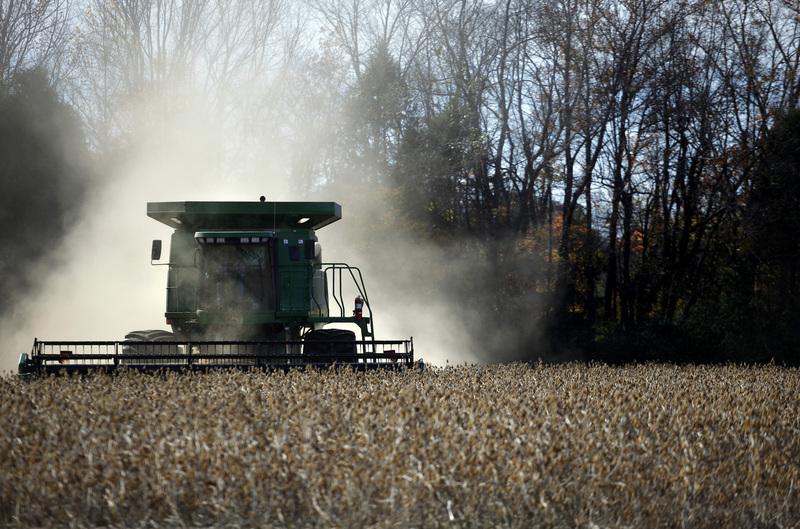 A worker harvests soybeans at a farm north of Birmingham, Alabama November 13, 2009. The White House said on Dec. 1 that China has undertaken to immediately start buying U.S. agricultural products after the two sides agreed to pause their trade war. The Chinese government hasn’t confirmed the move; a 25 percent tariff imposed on U.S. soybeans and other goods remains in place. U.S. net farm income is expected to fall by almost 50 percent compared to five years ago to $66.3 billion in 2018, according to U.S. Department of Agriculture forecasts. During that same period, total farm debt has risen by 30 percent to $409.5 billion. The ratio of farm debt to income could reach 3:1 this year, the highest since 1983.